A boudoir theme! 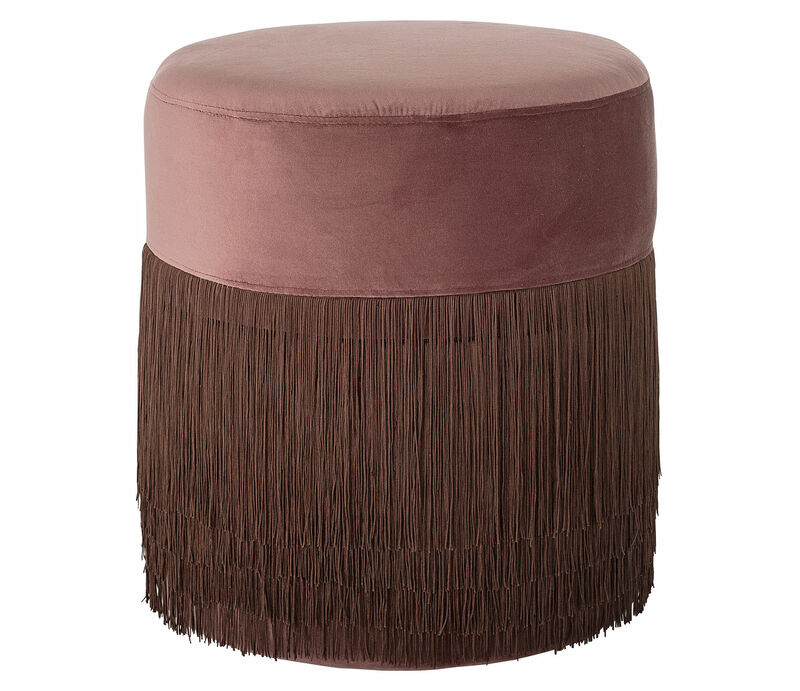 With its revamped 30s style, this pouf lined with fringes will lend a retro and irresistibly glamorous touch to your interior. 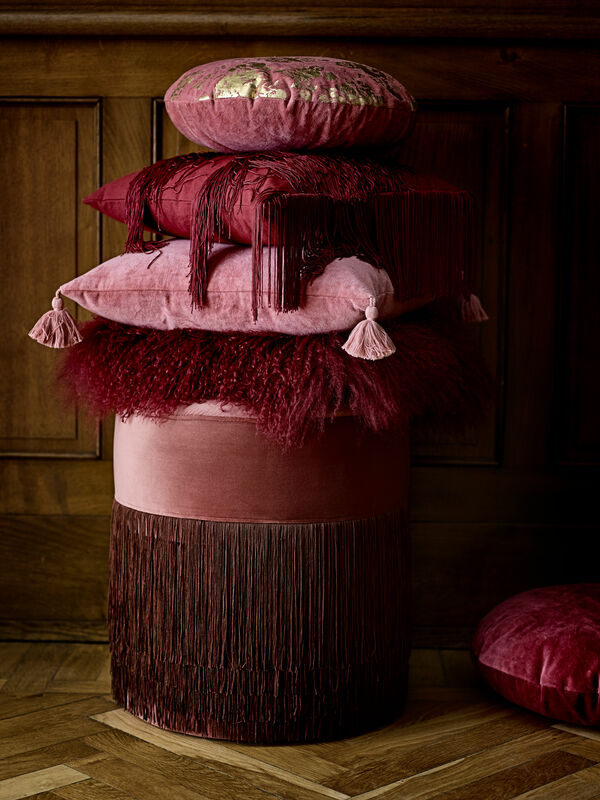 Dressed in silky and sensual velvet, it is a pouf that encourages an outmoded idleness. 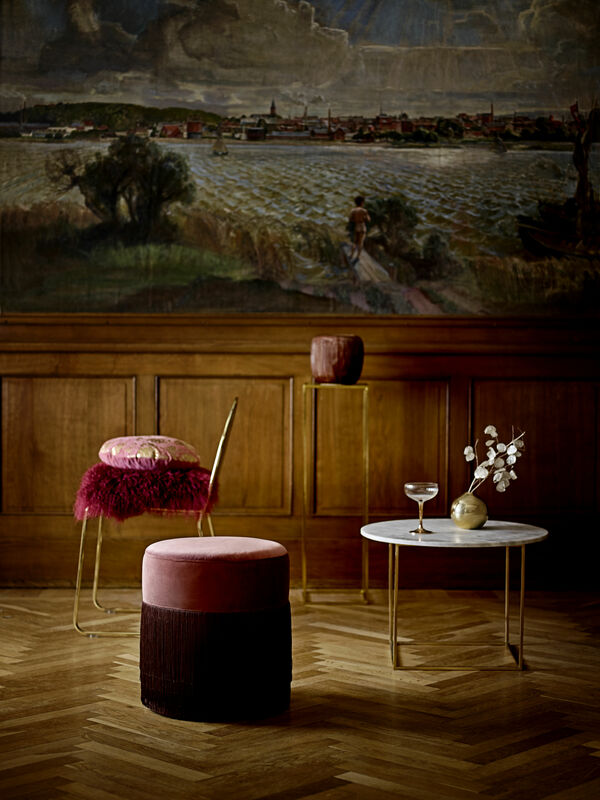 The seat appears to be levitating, floating gently above its long, light fringes... Refined and bohemian, it will find its place in either a classic or contemporary interior. It lends softness and warmth to a more minimalist decor.